After Madrid and Barcelona, Costa del Sol is the targeted hotspot by the American ridesharing company Uber Technologies Inc. Starting on June 2018, taking advantage of the summer season, the transport platform has begun to serve in the south of Spain. You may have heard that Costa del Sol residents finally have UBER service available, It's not quite like the UBER in the UK where anyone can become an UBER driver though. We walk you through it. Uber already operates in more than 600 cities across the world and has also established itself in Madrid and Barcelona. The Uber here is for licensed drivers, so those who already have an SP License. 200 licenses have been given out and you can now order an UBER from anywhere along the Coast from Malaga to Marbella, covering 60km. The UberX service, which uses professional drivers, has launched its services in the Costa del Sol on Spain’s south coast in June 2018 and is covering the cities of Malaga, Torremolinos, Benalmadena, Fuengirola, Mijas, and Marbella. You might be wondering what the heck is UberX? UberX is the most popular private car service that Uber has to offer. It's commonly referred to as the "low-cost option" for riders - it allows you to quickly arrive at your destination without breaking the bank. The Spanish Costa del Sol receives about 12 million tourists every year. “With the launch of UberX in time for the busy summer season, we are thrilled to bring on-demand transportation to the Costa del Sol. We are committed to being a true partner to the cities of this famous tourist region for the long term,” a spokeswoman for Uber said. However, unlike principal competitors in Spain, Cabify, Uber will only contract drivers with licenses for Andalucía, which they hope will avoid disputes with taxi drivers, who went on strike after VTCs from other parts of Spain came to the province to take advantage of peak times, namely during Malaga Fair, without pre-booking. The prices, already announced, will be 0.3 euros per minute and 1.12 euros per kilometer, with a minimum rate of 5.50 euros, similar to Madrid and Barcelona, and a cancellation fee of the same amount. So in order to give you an insight into transporting options in Marbella this summer. 1. TAXI Tel.+34 952 77 44 88: Did you know that there is a special app to order your taxi, this is called "1Taxi"
2. UBER: The Uber service in Marbella is for licensed drivers, so those who already have an SP License. 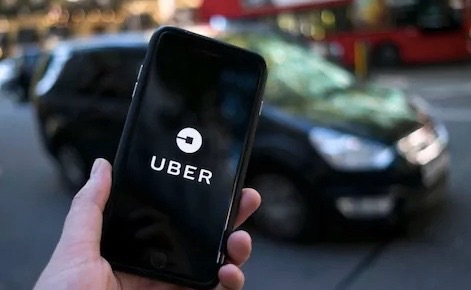 200 licenses have been given out and you can now order an UBER (with the Uber app) from anywhere along the Coast from Malaga to Marbella, covering 60km. Will it be cheaper than a normal taxi? Not necessarily, but it is far easier to open an app which already has your location in + It's also good to know the price before you start. The Uber cars are offering free water and perfect air-conditioned new cars. 3. CABIFY: (almost the same as Uber)Install the app and order a car. 1. open the app and order a Cabify for wherever you need. 2. Receive info on your vehicle and driver, and track the journey in real time. 3. Choose your preferences, such as music or temperature. 4. Your credit/ debit card or Paypal will be charged automatically via the app. No cash needed! 5. Cabify will email you a receipt. We hope you find this information useful to get you through finding the best transportation methods in Costa del Sol with fair prices for your pocket. ITV Service (MOT) arrives to San Pedro de Alcántara this Summer!